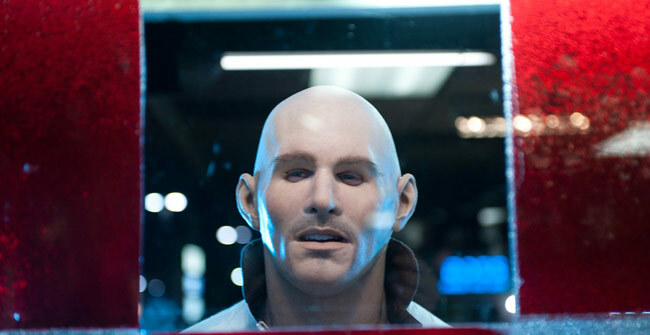 If I had to describe Nicolas Refn’s, Drive, in only a few words I would call it thrilling, gruesome, and suspenseful. Refn manages to create his film in a way that attracts the attention of both movie critics and the general audience. Its 80’s Dream-Pop soundtrack harmonizes admirably with its playful lighting and cinematography. The unnamed driver (Ryan Gosling) has a dangerous talent for driving and applies his skills towards the movie business and criminal activity. His formidable habits, and new found love, accommodate him with relentless mobsters. Drive received high ratings on popular critic sights like IMDB and Rotten Tomatoes for its ability to create an action genre while still retaining spectacular, artistic meaning. I hold the film’s soundtrack responsible for giving it its sense of pure entertainment and emotion. One song in particular strikes my attention as a key role in the protagonist’s characterization. The soundtrack to this film fulfills the gaps in The Driver’s character that are left by his quiet, conservative demeanor. One thing you will be sure to notice in this modern day classic is the characterization through cinematic elements. The driver is an independent, defensive human, whose characteristics can be seen through the symbolism in his jacket and the cinematographer’s separation in framing. In many scenes his scorpion embedded jacket looks alive and breathing. If you are yet to see this film, anticipate the beautifully structured elevator scene. The Driver’s actions fulfill the symbolism behind the scorpion jacket he so often wears. In my hopes to preserve your first reaction to this violent scene, I will only make you aware of the driver’s fearful defensiveness and utter disgust he instills in the woman he loves. Both of which share the traditional symbolic aspects of the iconic scorpion. The cinematography in this film tells a lot about its character, The Driver, and his intentions. Irene, the woman he loves, and he are seen in multiple scenes as being separated. Not just physically but emotionally. Manipulation of the eye is a difficult yet powerful art to master. In the scene where they stare at each other in a seemingly endless fashion, they share a chemistry that is actualized by the cinematographer’s positioning of characters. Later in the film notice their emotional separation that is displayed by positioning a long coffee table between the two. Gosling’s attempts to get closer to Irene are fueled only by his obsessive and defensive habits. His emotions of love and passion are relative to his secret life of crime that composes his overall persona.